With stress tests and current home prices still out of reach, many Canadians are looking at co-signing in order to buy or re-finance their home. While this might not even be an option for some, for others there still seems to be a lot of mis-information out there on this topic, so let me set the record straight. Q. What is a co-signer? A. A co-signor is an individual who agrees to be named on both the mortgage and the title of a property to help another borrower qualify for the required mortgage financing. Q. What are the main reasons that I should consider a co-signer? A. Most often co-signers are engaged when a homebuyer can not qualify for a mortgage alone, typically based on income or job situation, such as those who have been self-employed for less than 2 years or those who don’t have enough tenure at their current job. The addition of a co-signer can help satisfy the income requirements needed to qualify for a mortgage or can also be enlisted for their strong credit, which can strengthen a mortgage application. Q. I have heard the terms Co-signer and Guarantor. What is the difference between the two and which makes the most sense for those looking to buy their first home? A. While adding a co-signer is the most common of the two, a guarantor, generally a spouse or immediate family member, is not named on the title of the property but is named on the mortgage. In most cases this person needs to occupy the property as their principal residence and have a valid reason for not being named on the title. For example, if one spouse is an owner of a corporation in an industry that is vulnerable to lawsuits, they will want to protect their home against future claims by omitting their name from the title. However, as a guarantor they are still recognized by the lender for their income and credit. Q. Who can co-sign? Does it have to be a parent? A. Most big banks and AAA lenders want immediate family members to be co-signers, however there are exceptions when friends and more distant relatives can be considered. Q. 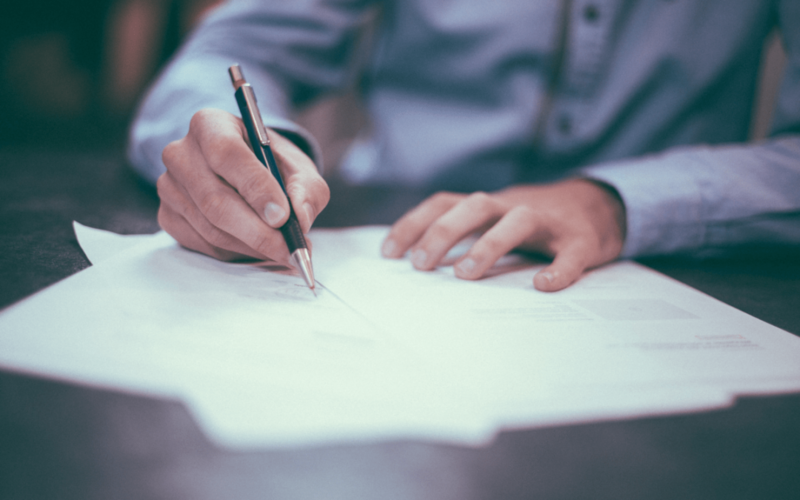 What is required of a co-signer? A. A co-signor has the same requirements as the main borrower(s), such as standard proof of income and credit. This will include the co-signer’s liabilities and other mortgages. Basically, the co-signer is not just another signature, but they have to be in good financial standing to help you improve your application. Q. If my financial situation changes, can the co-singer be removed from my mortgage and property title? A. This really depends on the lender, which is why we always recommend talking with a knowledgeable mortgage broker when deciding whether to use a co-signer. Some lenders will allow the co-signer to be removed penalty-free within the mortgage term as soon as the main borrower(s) can show they can qualify on their own. There is typically a small legal fee (roughly $300-$500 depending on how expensive the art is in your lawyer’s office) to assume the co-signer off the title of the property. This is definitely something you’ll want to understand before signing on the bottom line. Q. Are there any drawbacks for the co-signer? A. Generally there is no financial burden to the co-signer unless the main borrower(s) defaults on mortgage or property tax payments. In this case the co-signers credit will be negatively impacted and the bank or municipality will go after the co-signer for payment. The other consideration is that if a co-signer is requiring credit of their own, the mortgage payment obligation, even if they are not the one actually responsible for making the payment, will be considered in qualification. There are ways to mitigate that impact but it requires further discussion. A. Generally the lawyer registering the mortgage will set up first-time buyers as 99% owners of the property and co-signers as 1% owners. This has to be agreed upon by all parties involved but that way FTB will receive 99% of any rebates. My Tip: In today’s economic and housing climate, co-signers are becoming more of a reality for many first-time homebuyers. However, do not try to negotiate a mortgage, where a co-signer is involved, without the help of an experienced broker; there are too many details that could impact the parties involved, including the ones you read above. Plus, there may be some tips and tricks to getting that first mortgage approved without the need for a co-signer. Our HW Advantage team can talk you through your options and then you can weigh your options and make an informed decision.